What's the hottest color in Manila right now? Light Blue! Yes! Light blue is the new red when it comes to food and casual dining. Gone away are the popping red and startling yellow themes on fast food franchise, and it's now cool to be blue. I am feeling this way because I am so drawn to the color, in fact I'll be delegating a post in my wedding blog in honor of it. My kids would back me up on this, for until now we can't get over the Disney movie, Frozen. And my husband and I have been babbling about the new Taiwanese fried chicken craze that is soon to storm the foodie world. I guess you are saying in your mind, what the hell am I talking about. Before I go trivializing let me just say that this is probably the first coolest thing to happen in the foodie industry right now. The famous Hot Star Chicken which originated from Taiwan is here already in Manila but with a whole new branding and business strategy. Now on their soft opening, Hot Star Large Fried Chicken, a popular fast food chain from Taiwan, has been serving Pasay diners in its first store in the Philippines at Blue Bay Walk along Macapagal Avenue. They plan to open more branches this year in other prospective venues around Manila. Though the Filipino owners carry the trademark and the original concept of enjoying this indispensable staple in Shilin night markets, they amped up the idea to cater to the Filipino market. Such changes like adding seating to the venue, as opposed to take out food stalls; adding rice options to the menu; developing more dishes for the menu; unique dessert finds, etc. So popular is Hot Star that it has already expanded out of its home country of Taiwan. Hot Star branches can now be seen in Hong Kong, Singapore, Malaysia, Shanghai, Australia, Macau, and Indonesia. 1. You order your chicken and choose from the option on the menu. 2. Once order is confirmed and paid, you will be given a receipt with a service number on it. 3. Get a seat, wait for your number to be called or flashed on the open kitchen window. 4. It's a self serve diner so don't expect your food come to you. 5. There is a station, right beside the counter where you can get tissues, condiments, cold water, and gravy. Get them yourself if you please. 6. In less than 10 minutes you get your order and enjoy! Indeed, size utterly matters here! For first-timers, don't be surprise if you will get a 30-cm chicken chop encased in a paper. The idea is for you to eat it as if you would a doughnut or a huge bread, except it's protein-rich, meaty and extremely, amusingly crunchy. In malls in HongKong and Singapore, it's eaten while people ran of to buy something or while waiting for a ride or someone. People prefer it done potato chips or any other finger foods. A bite signals you that it's a better version of our typical fried chicken viand. In fact, I have to be honest that eating chicken without rice can be addicting, in a good way of course. It's a layer of crispy batter, tender and flavorful chicken meat and crispy outer shell. The manner of preparation is about the same as making old-school battered or breaded fried chicken, but the science behind creating a non-oily and crackling chicken is applied. Another secret revealed to us would explain the crackle it renders in every bite, according to Mr. Richard Chua, they use tapioca flour as a coating to the chicken. How it is normally served, dine it or take out. Also, need to mention that they upgraded the menu listing, they know that the chickens would sell but Filipinos would eventually get tired of the few selection so they added these and more. Choleric as this may seem, trying at least a stick is worth it. As crispy and delectable as the sister meats, you will sure to get hooked with not just one bite. It has that perfect blend of slightly sweet and salty taste. If for any reasons, you found yourself not craving for chicken, you can have fish instead, in a sandwich, that is. 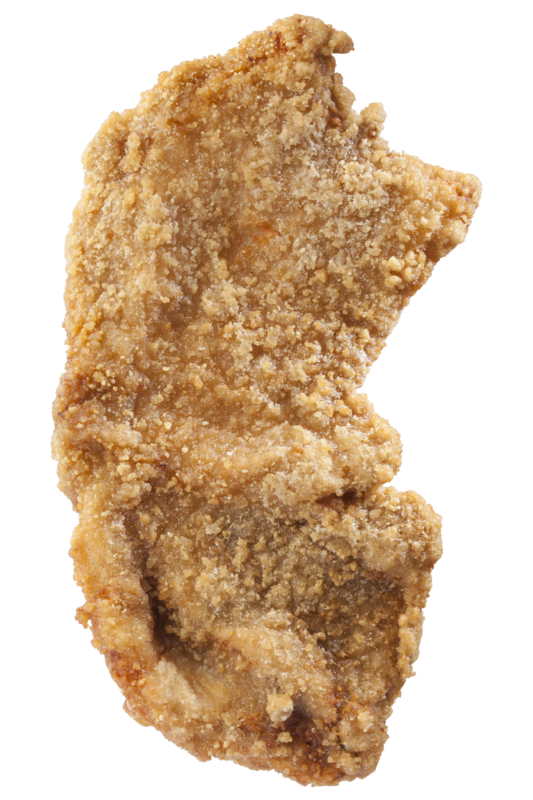 Again, though fried it still has that signature crisp outer layer but tender and moist on the inside texture. While designing the whole menu, they thought of putting what kids always love to have, and adults would want to partner their fried chicken with. That is the spaghetti. Though cheap in cost, it's packed with the Filipino taste for spaghetti, the sweet and meaty with a bit of tang to the sauce. I would say, Filipinos would easily get acquainted to the idea which was brought from other countries, specifically, Taiwan. Yes, we are open for a plethora of fusion cuisine, traditional or modern twists to dishes but far more important is the taste, and I'd say they would sell pretty easy. And Hotstar have gained fans from my family, oh how my kids reacted when they saw the chicken I went home with and devoured it in an instant. So do catch their soon to open branches, it might be near you, and if in any case you pass by Macapagal Ave. or visit MOA, please do give them a try.